There is a lot that can go into a kitchen remodel. Depending on a large list of factors, a remodel can range from $500 to $50,000 and beyond. Let’s just focus on the options homeowners have, referring specifically to cabinets. 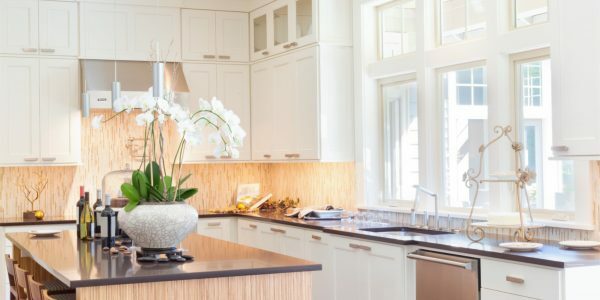 In the most basic form of remodeling, there are four options for cabinets: New cabinets, staining, painting, and cabinet refacing. The first option in a home remodel, is to replace the cabinets entirely. While new cabinets are nice, and it allows you to change the layout of your kitchen, it comes at a cost. Be prepared to spend the majority of your budget on cabinets alone. In the end, your kitchen will be extremely beautiful and will be more functional. Painting current cabinets is definitely an option, but not one we’d recommend. There are more cons than pros to painting. However, the biggest pro, is cheap. If you plan on spending any time in your home after doing the remodel, don’t go this route. However, if you’re just trying to freshen up the space to sell your home, it is an option. Paint chips easily, fades, nicks, and gets damaged easily. 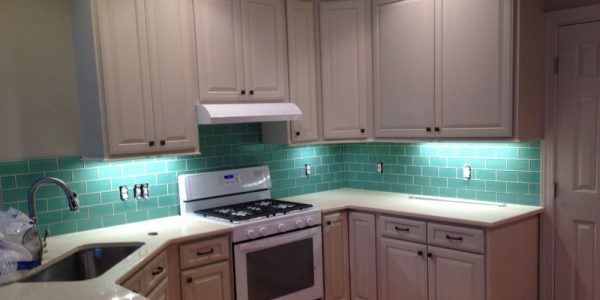 I would only paint your cabinets when looking to sell, if you have a feeling people will want to gut your kitchen within a few years of buying the home (Probably due to a weird layout). Staining and painting will be basically the same process in a lot of ways. Take off all the doors, apply lacquer or stain, do the same to all the boxes, then once everything is dry, reinstall everything. If you love the current layout of your kitchen, and you like your cabinet doors, this is a great option! Cheap and high quality finish that will last a long time! 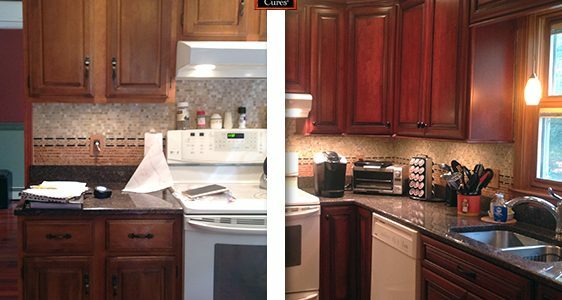 Cabinet refacing is an awesome option. Within a weekend or so, you have a completely redone kitchen that looks brand new. Unlike a full kitchen cabinet remodel, the cabinet box is not destroyed when refacing your cabinets. Refacing involves replacing all cabinet doors and drawer fronts and cover existing cabinet boxes with new wood. Additions to your cabinets can easily be made and seamlessly blended in as well.